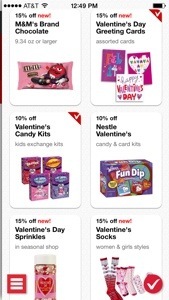 Home » Deals » Great Target Finds for Valentine’s Day! Great Target Finds for Valentine’s Day! 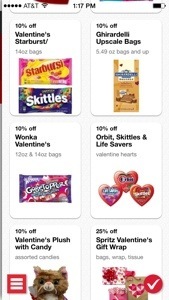 I went to Target today to pick up a few things, and found some great deals for Valentine’s Day! 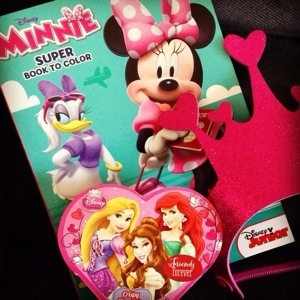 Here’s Miss V’s Valentine gift, total cost $2.60! The glitter crown and coloring book were both in The One Spot for $1 each. 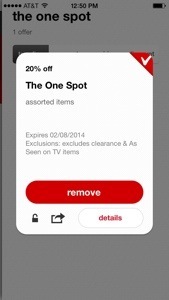 There’s a coupon in Target’s Cartwheel App for 20% off making them $.80 each. The chocolates were in the seasonal Valentine’s Day section, but were not with all the rest of the heart chocolate boxes. This one was meant for kids to give away at school, and costs just $1. There’s 2oz of chocolate, which is just perfect for Miss V since she’s little and I don’t want to give her a lot of sweets. So, my total was $2.60 plus tax. Not too shabby. Oh! I found these a couple weeks ago, beyond cute glitter cutlery for $2 in the Valentine’s Day section. These would be perfect for a princess party! Did you find a great deal? Let me know in the comments!